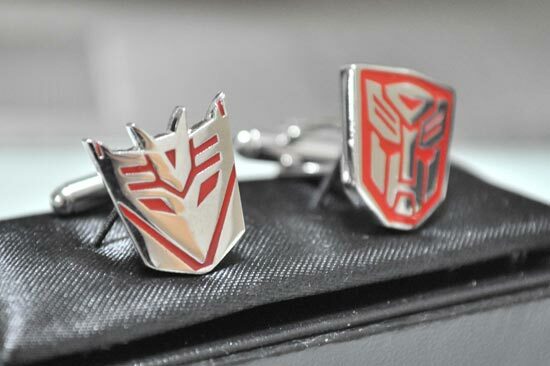 With the upcoming release of the new Transformers: Revenge of the fallen not too far away I thought it was about time to find some geeky transformer themed accessories and came across these cool transformer cufflinks. 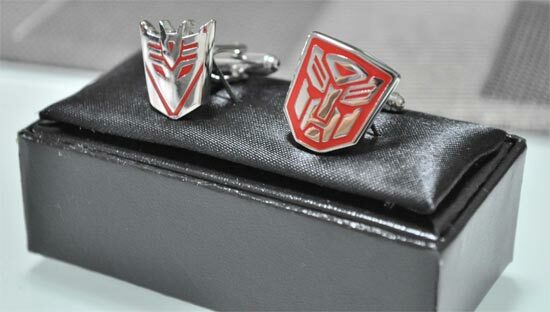 These fun cufflinks come with one Decepticon and one Autobot cufflink, each one measures 2cm x 2cm and they are silver plated. If you want a set they are available for $20 from the finkstudio shop over at Etsy.